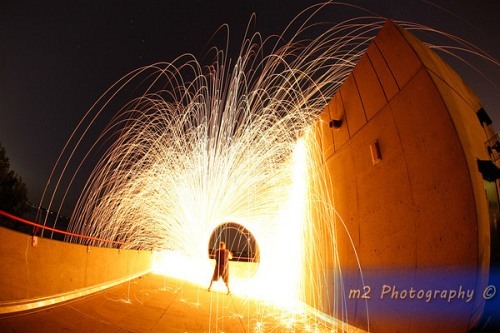 Our How I Took It Contest got an impressive number of steel wool light painting tutorials. 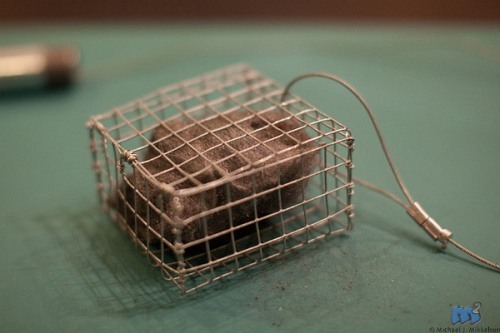 I wanted to share this one from Mike Mikkelson as it introduces two new elements that we’ve never had on the blog before: a super smart steel wool cage (rather than the whisker that we usually use) and the creation of a vortex. Enjoy. Lighting things on fire can be a huge crowd-pleaser. Every year millions of Americans flock to watch fireworks on the 4th of July. Folks love to set off bottle rockets, M80’s, romans candles, even sparklers in their own backyards. However, each year there are tons of people with less fingers or severe burns due to not being safe. 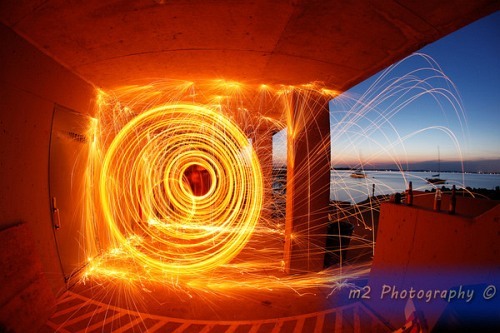 The following is the description of how I was able to use steel wool at the end of a steel cable and create the Fire Wool image. 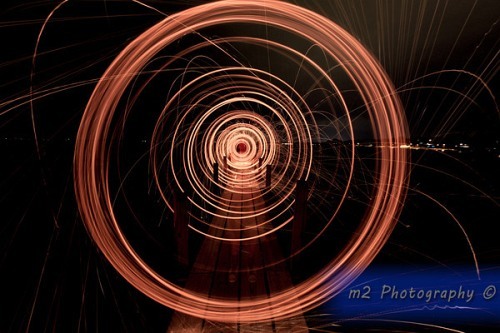 If you choose try this method of photography, the safety of the area is your responsibility. 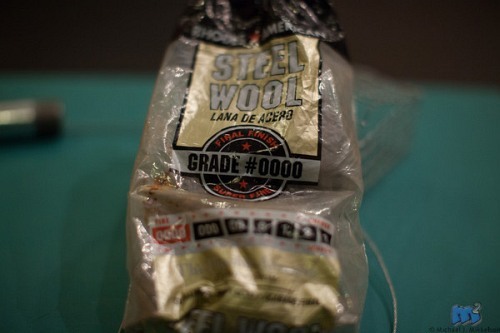 Just like fireworks, there is risk involved with setting steel wool on fire. It’s not worth the risk of fire or the safety of others if you do not take the proper precautions. In other words, don’t try this at home. What I like to do is ask myself before performing this shot, “Is there anything nearby that could catch on fire?” When I say nearby, I mean within 150 feet. 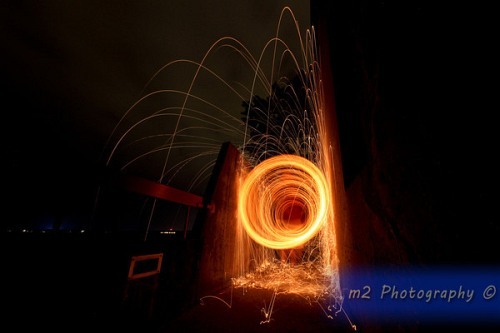 Spinning steel wool as fast as you can will shoot chunks of flaming wool in multiple directions. Unsure whether it’s safe? Then don’t. Loopty-Loop Wool On Fire Cable Thingie… Um, probably not. 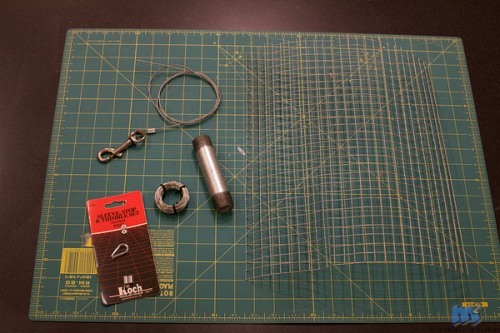 I’ve seen other tutorials where the user has had to tie the wool onto the end of a steel cable each time they want to attempt a shot. This didn’t seem to me a very efficient method for this type of shot. I wanted to be able to reload the wool quickly after each sequence, and have something that would be easy to use. 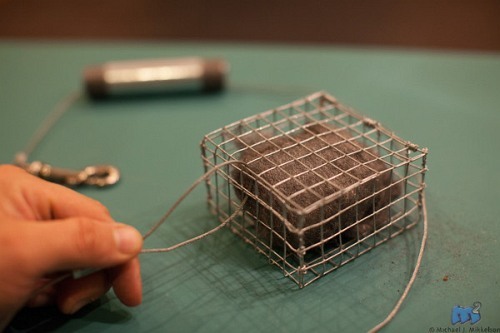 The following example is a simple method for constructing a cage to put your wool in and attaching it to the end of a steel cable, saving you time and frustration between shots. 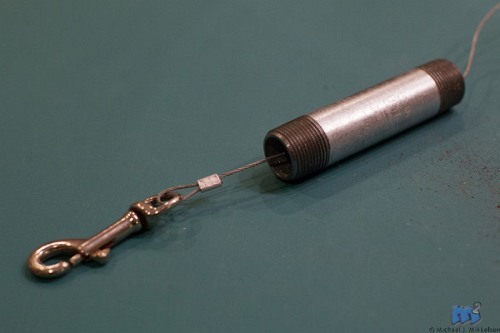 Roughly 4 feet of 1/16″ steel cable. 1. 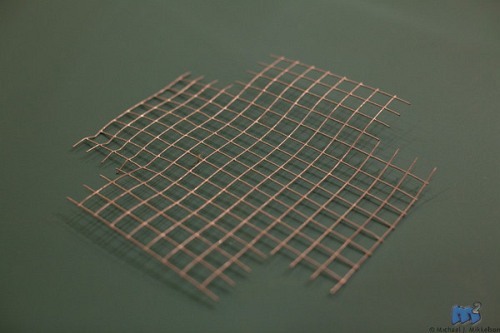 Cut the wire mesh as shown below. 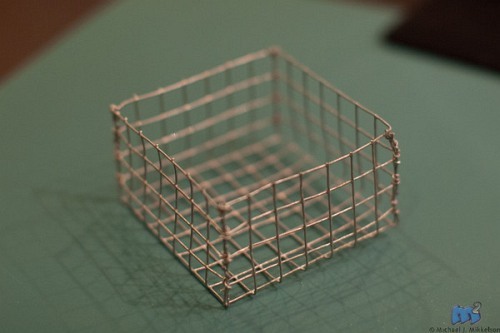 This will be bent into the shape of a box. 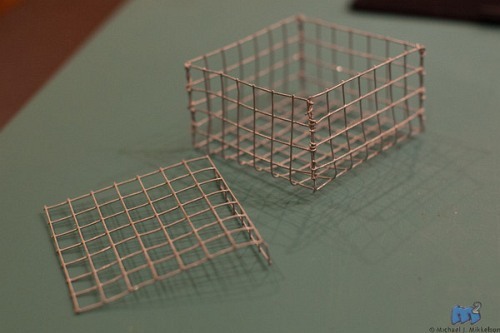 Cut the mesh so that the tabs on the sides are sticking out to be used to hold the structure together. 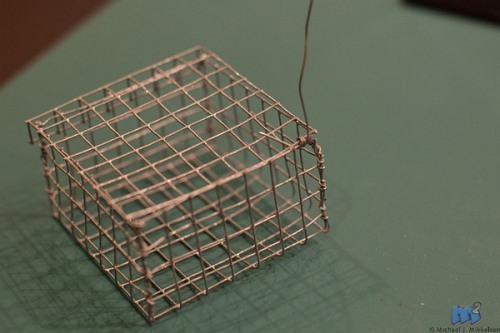 This wire cage will be about 3″ wide on each side, but only about 1.5″ tall. 3. 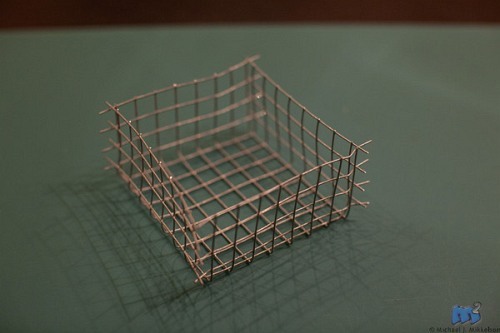 Use the protruding wire tabs to bend around the sides to hold together. 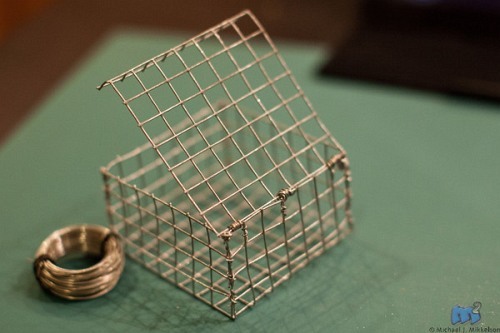 The step requires a bit of patience and it can help to have your needle nose pliers to help twist the tabs around the support wire on the corners. 5. Cut out a top piece with one row extra on one side and bend that down. 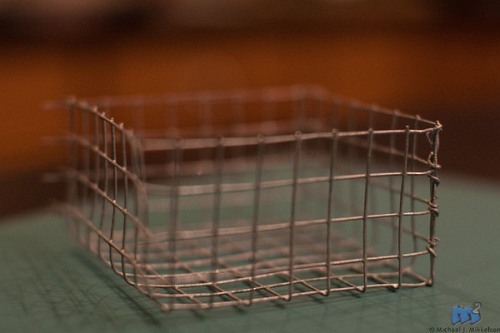 This will be the lid, and the extra row bent down helps keep the lid in place when closed. This is where having a buddy can help, as I don’t ever recommend doing this shot without a second person. Wherever you plan on standing to spin the wool, have your friend shine a flashlight on their face so you can set the focus manually. On Canon cameras, you turn on Live View and zoom in to set the focus with the help of the LCD screen. Remember, that most likely it will be dark out, so having a flashlight will help in more ways that just being able to set focus. You don’t want the sparks to fly at the camera, or other people, so I suggest standing perpendicular to the camera when spinning the wool. 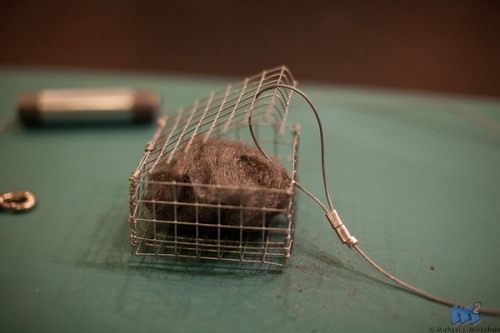 Chunks of flaming steel wool will be flying out of the spinning cage. 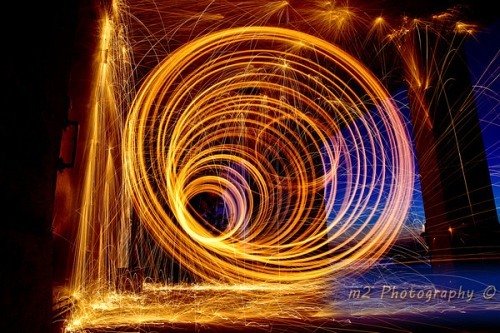 The faster you spin, the farther the flaming sparks are able to fly. Your exposure should be set to 20 to 30 seconds. You can have wool last the entire 30 seconds if you don’t spin too fast. I’ve experimented with different f-stops, but get less ghosting with settings around f/9. You should experiment too! This gives you time to get in position and light the wool. It sort just looks like it’s smoldering when you light steel wool. You don’t get the dramatic effect until you spin it, causing oxygen to fuel the fire. Sometimes it take sa second to light the wool, so having the extra time is nice. I prefer to use a wide angle lens, but anything will work. The wider the better, as then you don’t have to be as far back from the action. Fisheye lens also work great in thisscenario. Wearing protective clothing is a good idea. Wearing long sleeves, pants, and a hat or hood is smart. Shoes are also a necessity. Wearing shorts and flip-flops will almost guarantee that you’ll get some sparks on your tootsies and burn you. 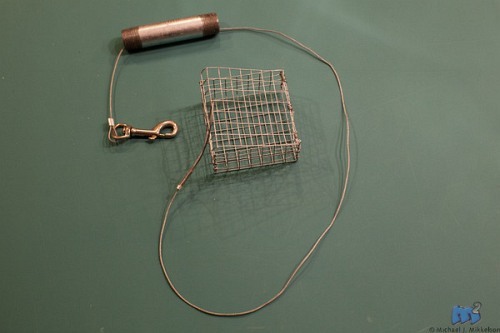 This is an example in a very confined space. The walls of this building were cement, and any sparks going over the side went directly into water. You need to remember your surroundings and be safe. Don’t be that guy. This was my first attempt, using a whisk. 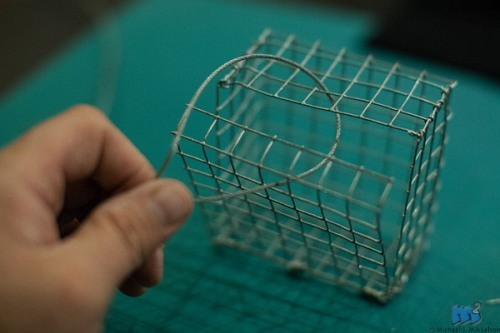 another tip is to use a whisk (an egg mixer) – so that you don’t have to make the wire cage- the whisk serves as a cage, and are very cheap *Caution: cage device may melt which can cause the steel wool to fly out so try and use stronger wires!